Bacon was weighty with thought. Many if his sentences can be expanded into full paragraphs. One of the salient features of Bacon's prose is aphorism. Aphorism is the terse expression of a universal truth. For example, in the essay, “Of Marriage and Single Life” Bacon argued: “Wives are young man's Mistresses; companions of middle age and old man's nurse.” This use of terse expression and epigramatic shortness of sentence reflect the depth of an author's personal experience. Aphorism is different from the proverb. A proverb is an anonymous expression of truth whiles an aphorism is one's personal experience. So it can be said that Bacon blended his personal experience in his prose. 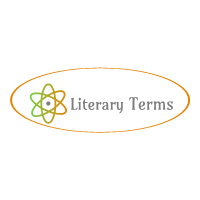 Another key features of Bacon's prose style is the use of Allusions. Allusions are the indirect or implicit reference to another work of art or Literature, to a historical person or event. For example, in the beginning of the essay “Of Truth” Bacon referred to Pilate. Pilate was the governor of Judea. Before him, Christ was tried and condemned to death. He was introduced as a type of sceptical about truth. In the paragraph of the essay the nature of “Truth” is discussed in opposition to error. Bacon said that though truth is attainable, men prefer to tell lies. Men enjoy freedom of scepticism instead of being fixed in the monotony of beliefs and for this reason, they deliberately reject truth. This rejection of truth satisfies their vanity, their caprices or imagination. This allusion clarifies the meaning and message of the author that he wanted to convey to the readers. It adds dignity to the text too.